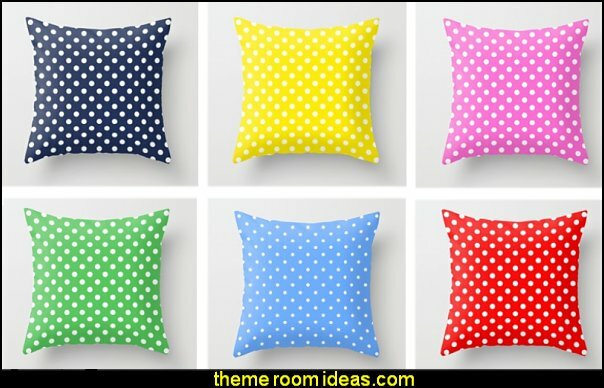 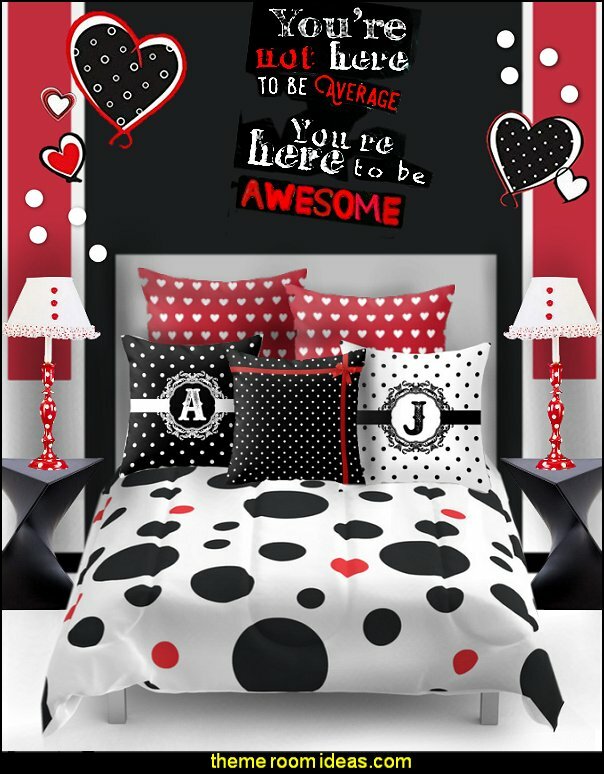 Glam up the bedroom walls with super fun polka dots in fabulous color combinations and in different dotty sizes. 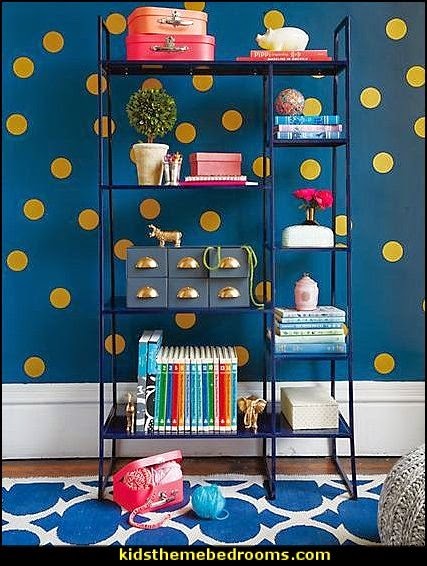 You can arrange your polka dots in a neat pattern or just sprinkle them across the wall. 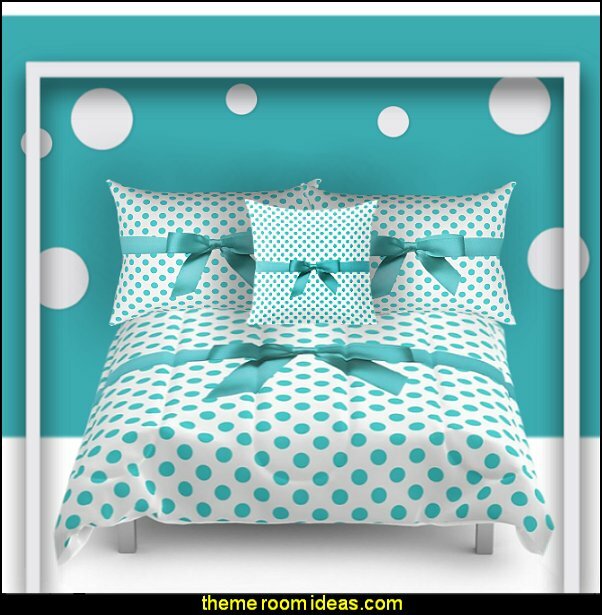 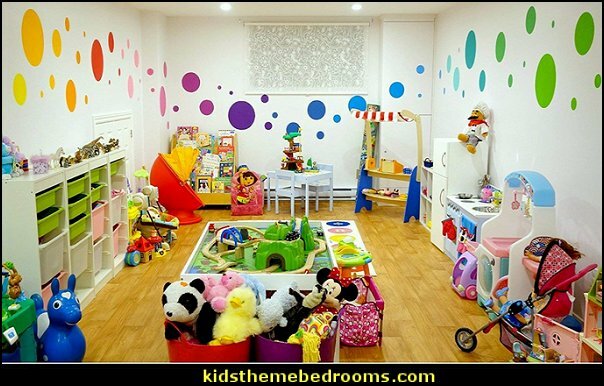 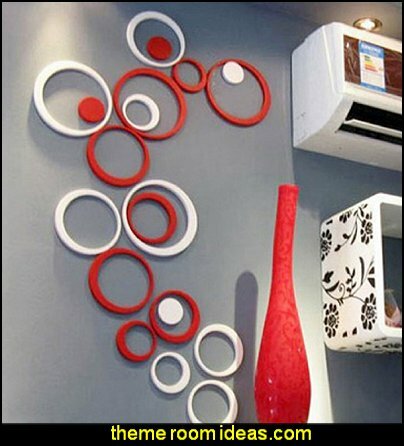 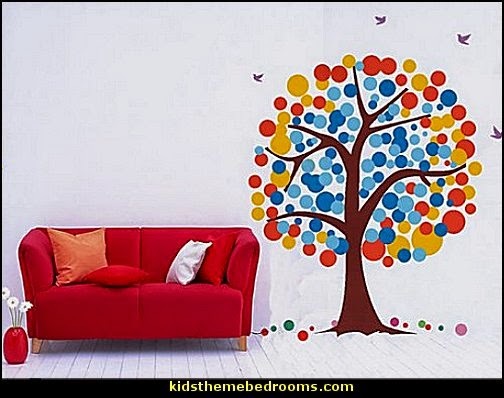 ... bring in extra pops of big dot fun and decorate the bedroom furniture, windows and mirrors. 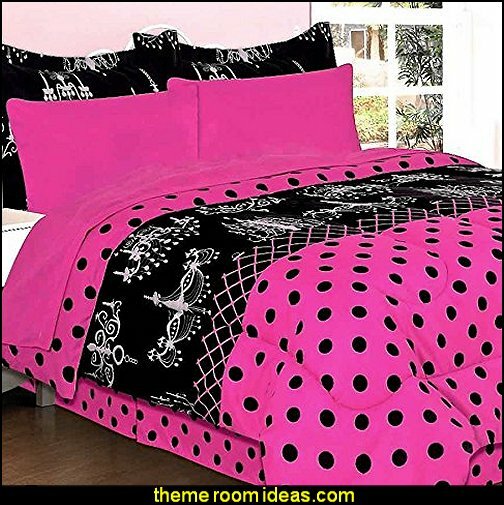 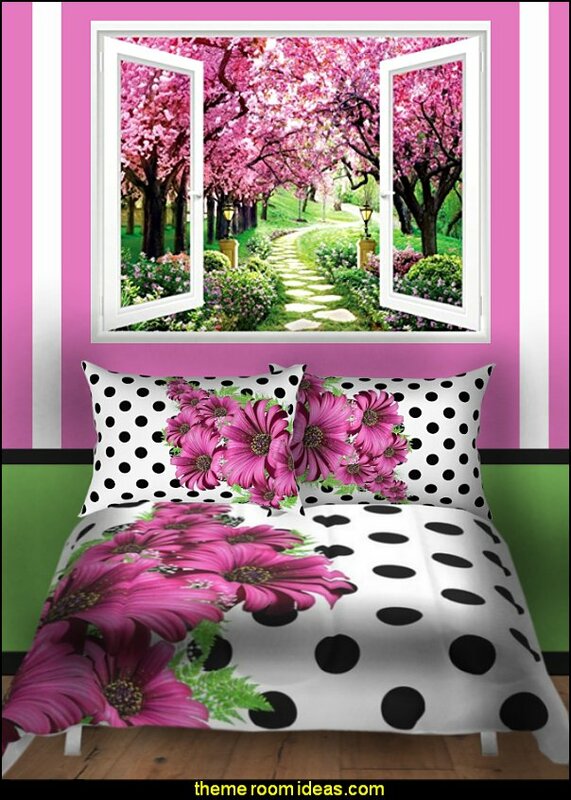 Perfect for a girly style, teen room, boys room, and great fun for toddler and baby bedrooms. 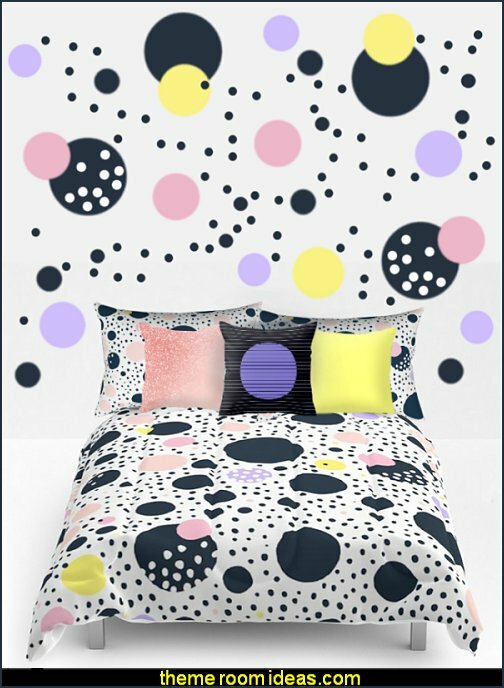 Set the tone for hip fashion and unconventional design in your little girl's bedroom with this fun and bright Funky Children's Collection. 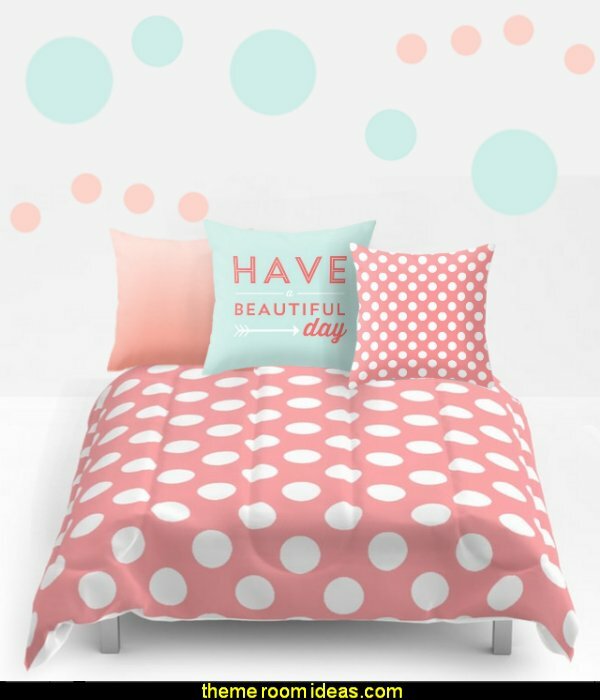 This collection is painted in the most wild colors with the most funky designs, with a bit of stripes here, a bit of polka dots there and some zebra streaks thrown in. 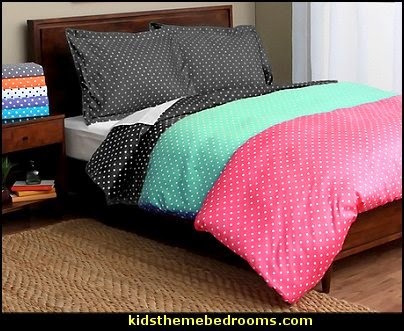 Set the tone for hip fashion and unconventional design in your little girl's room with this bright and fun Funky Headboard. 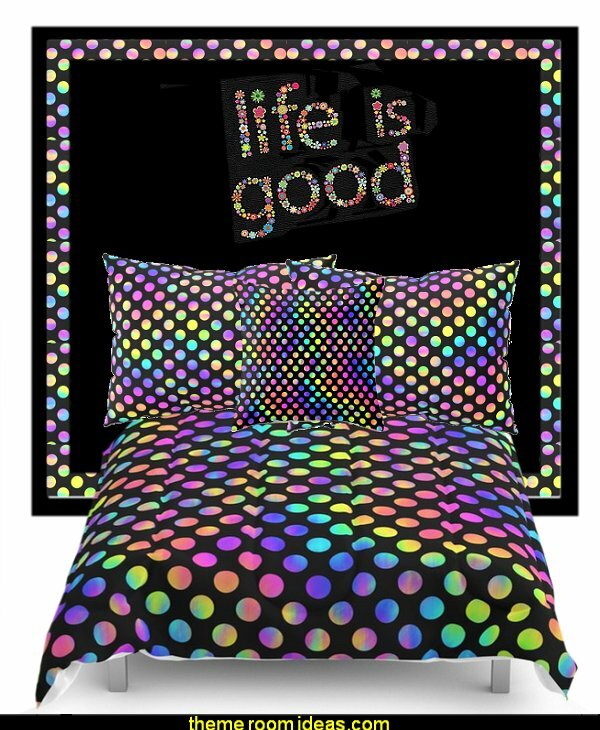 This headboard is made of solid wood and is painted in the most wild colors with the most funky designs. 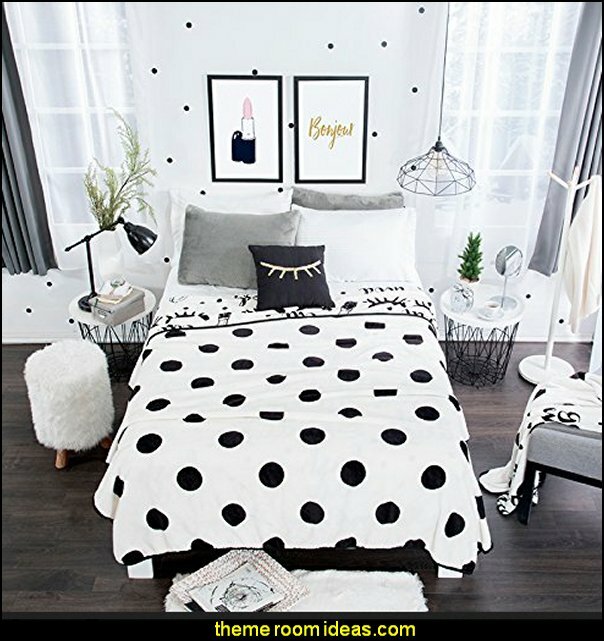 With a bit of stripes here, a bit of polka dots there and some zebra streaks thrown in, this headboard with its offbeat tone will quickly become your daughter's favorite! 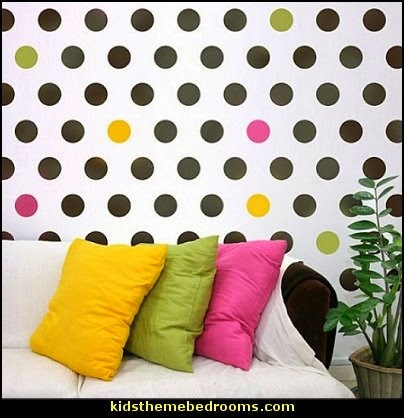 Fun Polka Dot stencil pattern for easy wall decor. 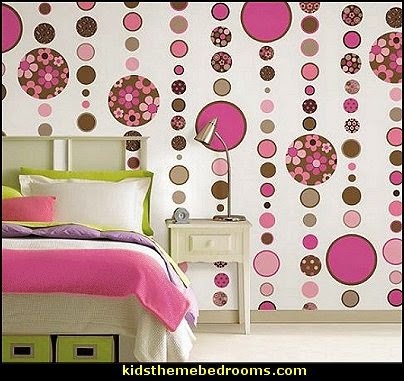 Great stenciled as an allover pattern or just one focal wall. 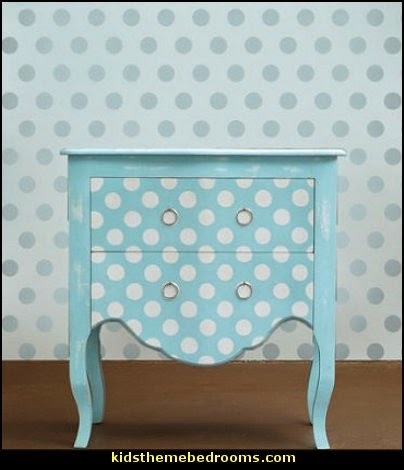 Polka Dot furniture Knobs at ababy These knobs add the perfect finishing touch to drawers, closet doors or armoires. 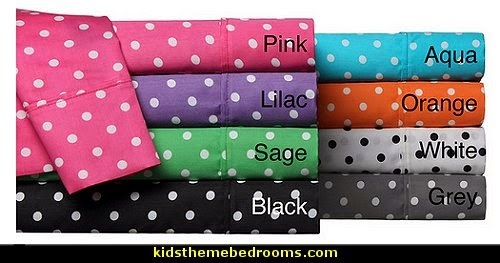 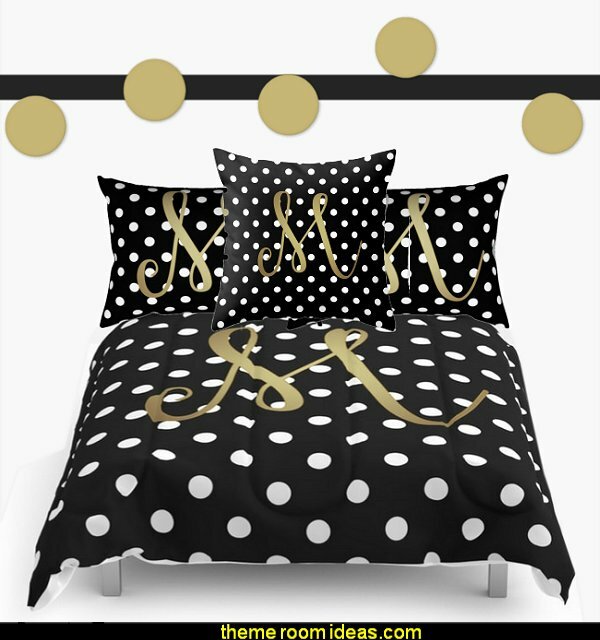 Bring lively two-tone colors to your bedroom with these whimsical polka dot duvet cover sets. 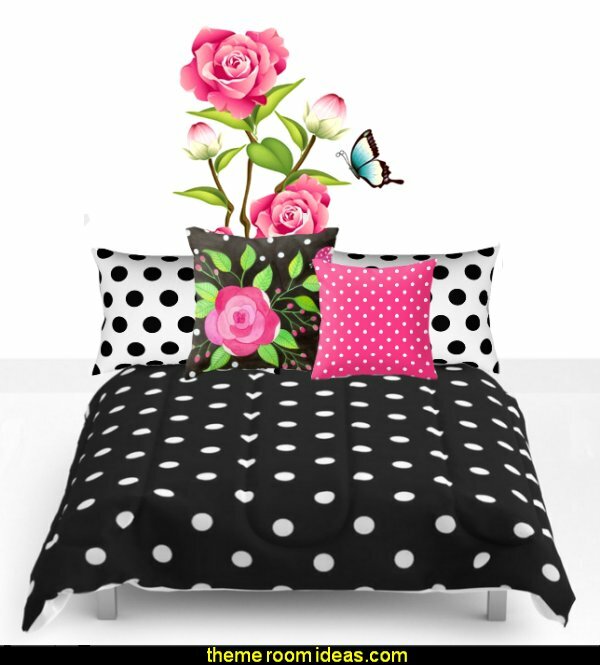 Looking to mix and match dots, animal prints and floral motifs? 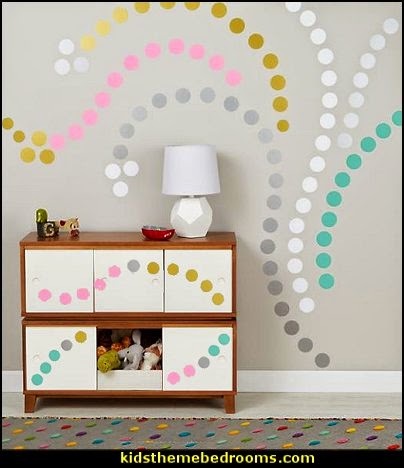 Gone Dotty will transform any room or wall into a work of art! 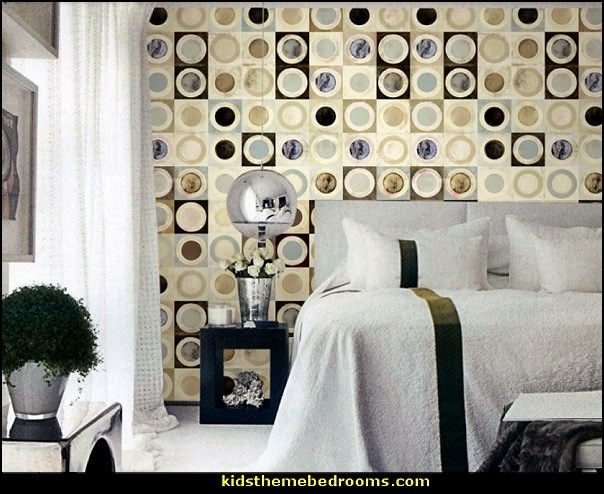 Charming and bright, the Disco Dots Lamp adds light to your child's room with a mod and striking look. 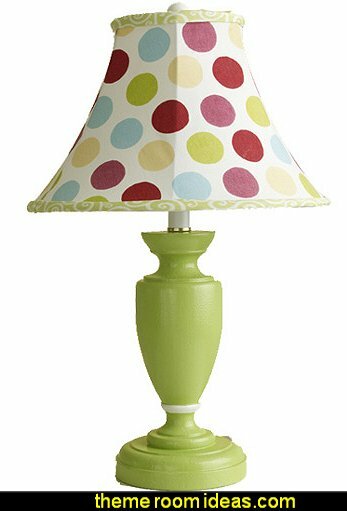 The apple green base, accented with a white band, and the totally delightful disco dots lamp shade, trimmed with green squiggles fabric, make this lamp one of a kind! 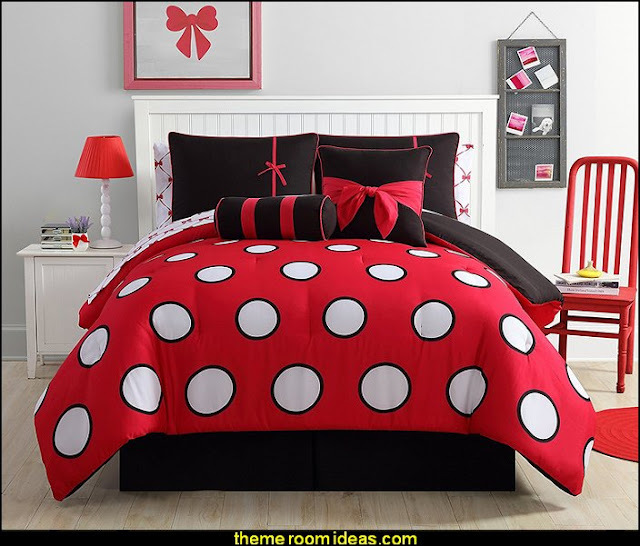 Striking and fun, our Red and White Polka Dot Lamp will add character to your little one’s room. 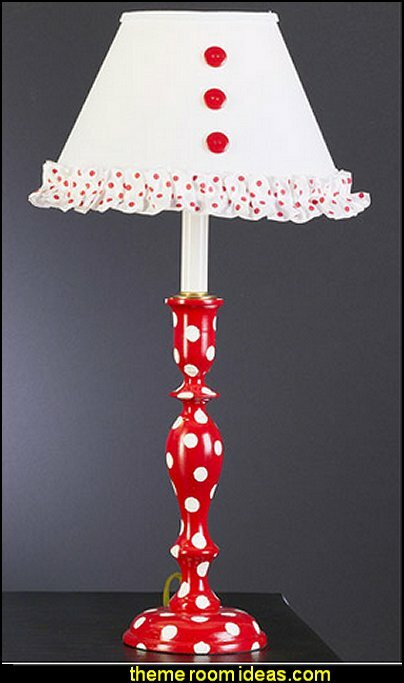 The red and white polka dot candlestick stem is contrasted ever so nicely with the white shade featuring 3 red buttons and a red polka dot trim. 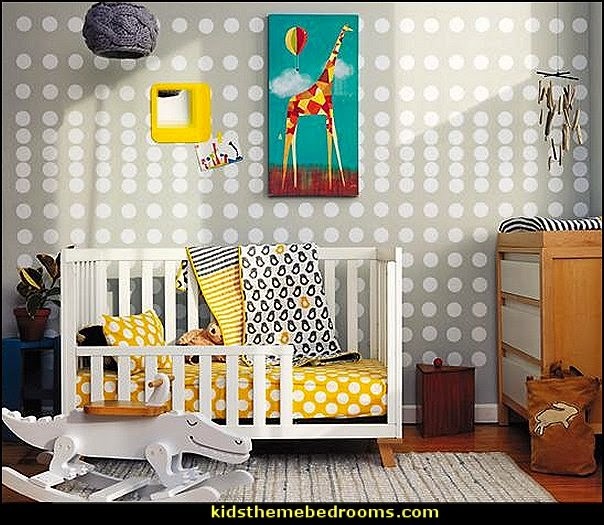 Your little one will enjoy the lamp’s glow as reads in bed, as she drifts off to sleep.